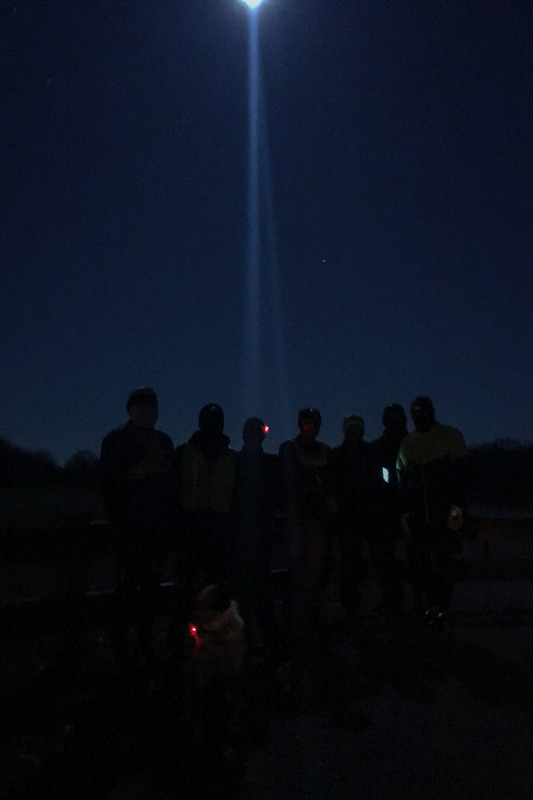 …and a super group of luna-tics and a dog who braved the 0° feels-like temperature to kick off 2018 under a clear Super Moon sky, the first of two full moons this month. Happy New Year! Epic night. Welcome Patric the first-timer. Thanks for the apple pie a la mode moonshine at run’s end, Jay! This entry was posted in Full Moon Runs. Bookmark the permalink.